Are You Taking Advantage of Remarketing? Do you have an online marketing strategy? Does it involve PPC? Facebook Ads? If so, you’re already on the right track, if not, contact us and we can help you get set up. You may or may not have it set up, and if you do have it set up, are you maximizing your ROI with testing and tracking? If not, then you’re definitely wasting your marketing dollars. 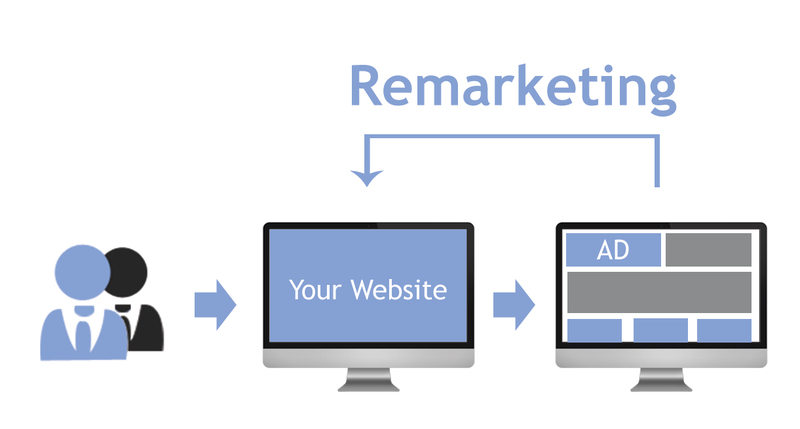 For marketing noobs, remarketing is a clever way to connect with visitors to your website who may not have made an immediate purchase or enquiry. It allows you to position targeted ads in front of a defined audience that had previously visited your website – as they browse elsewhere around the internet. If you are taking advantage of remarketing, your ads will be in front of their face. Usually when they are exposed to a site with google adwords/adsense and even on Facebook. If you would like to learn more, check out Adwords Help here. Otherwise, reach out to us and we can set you all up.